The Octo project started in Denmark in February 2013, when a father got a small octopus made for his premature child. It was found octopi calmed babies. Specialists said snuggling the tentacles even led to better breathing, more regular heartbeats and higher levels of oxygen in their blood. Babies cuddling an octopus were also less likely to try to pull out their monitors and tubes. 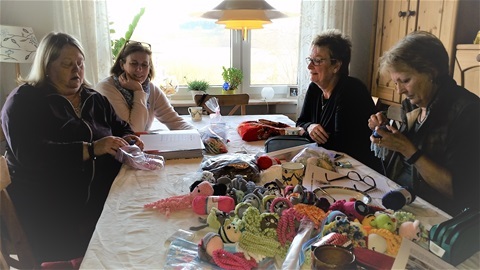 The project grew rapidly in Denmark, where volunteers began to crochet Octos to Danish hospitals. Within a short period of time it spread around the world, and there are now volunteers in Luxembourg, Sweden, Norway, Iceland, Faroe Islands, Germany, Belgium, Holland, France, Italy, Turkey, Croatia, Israel, Palestine, Australia, several places in the United States Florida and California. Every year in Luxembourg about 350 babies are born prematurely. 40% of them are very small, i.e. 36 weeks or earlier. The Neonatal Departments at CHL receive the very small ones from Maternite G-D Charlotte, Clinique Dr. Bohler, the clinics in Esch / Alzette, Ettelbruck and Arlon. The project came to Luxembourg in February 2014 when Ella was born 11 weeks too early. Ella’s grandmother crocheted an Octopus for her. The staff, who did not know about the project at that time, saw the effect and fell for the idea. Ellas grandmother was gathering a small group, who started crocheting Octos to CHL Cannery Clinic. 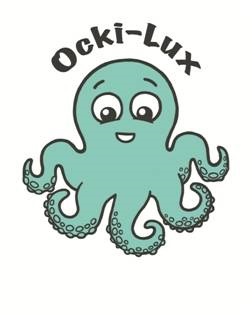 It became the start of Ocki-Lux: OCtopus for KIds. We deliver our Ockis to the Kannerklinik and Clinique Dr. Bohler. We are a group of volunteers who crochet small Octopuses for premature babies in Luxembourg. We meet once a month, where we exchange ideas. Everyone is welcome and if you need some help, here is the opportunity to get this.